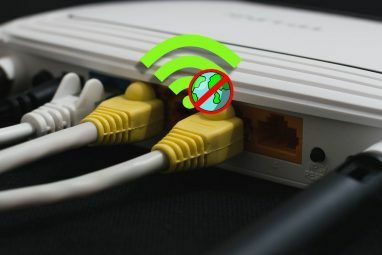 Most people test the speed of the Internet connection at one point or another, usually using a website such as SpeedTest Do an Internet Speed Test with SpeedTest Do an Internet Speed Test with SpeedTest Read More to do so. The speed of your Internet connection is obviously a big deal because it dictates how quickly you can download files and also has an impact on the quality of streaming video. But do you know the speed of your home network? This is tested less often, and there is no easy-as-pie website set up to help you with doing a network speed test. There is a simple utility called LAN Speed Test (unrelated to the SpeedTest website) that can help you figure out your home network‘s precise speed. LAN Speed Test is a simple program, and so far as I can tell, it doesn’t have an official website. You’ll have to download from a third party, such as CNET downloads. Once the program is installed, you’ll be greeted with an interface that states your computer’s name and IP address, as well as numerous blank fields below. 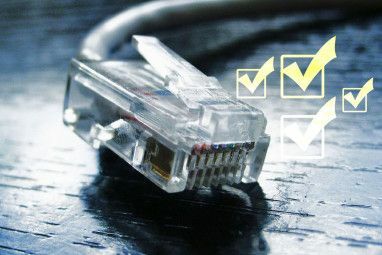 To use LAN Speed Test, your computer must be able to display the other computers in your home network. You can check to make sure that they are available by opening Windows Explorer and navigating to the Network section (in Windows Vista and Windows 7, this will be displayed in the sidebar on the left). 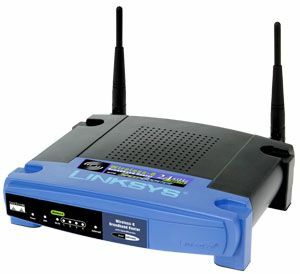 If the other computers in your home network are available, they will be shown here. Once that has been confirmed, you can start the network speed test by clicking the Start Test button. A folder browser will appear. You need to browse to a public shared folder on one of your networked computers. I typically use the default Public Files folder, but you can use another folder you’d like. Once you have selected the folder, press OK. You’ll be asked how large of a file you want to use to test the speed of your network. The default is 100 megabytes – this is fine for a general test. If you want to test the sustained speed of your network more throughly, try changing the value to 1000 megabytes (approximately one gigabyte). The test creates a temporary file and then both writes and reads the file on the public folder of the networked computer you selected. The testing process can take some time. A 100 megabyte file may take a few minutes, while a gigabyte file could take half an hour. Once complete, the Status display will show Finished and results will appear. There are several result fields displayed by LAN Speed Test, but there is one that I will focus on. It is the result furthest towards the bottom labeled Mbps. This is short for megabits per second, and here we have a common point of confusion when it comes to network speeds – a megabit is not the same as a megabyte. A megabit is roughly equal to 0.125 megabytes, which means that you need a transfer rate of 8 megabits per second to transfer 1 megabyte per second. For example, I used LAN Speed Test to test transfer rates between two desktop computers connected to a wireless network. The test gave me a result of 17 Mbps on the write speed. The total time to complete the file write was 47 seconds, and the file was 100 megabytes in size. If I divide the file size (100MB) by the time to write the file (47 seconds) I achieve a result of 2.12 megabytes per second. If I take 2.12 megabytes and times it by 8 (the number of megabits it takes to make a megabyte) the result is roughly 17. Once you know this information, you know approximately how long it will take to transfer a file between networked computers. Since I now know that I can transfer 2.12 megabytes a second I can guess that a 500 megabyte file would take 235 seconds (or about 4 minutes) to transfer. I reach this conclusion by dividing the file size by the megabytes transfered per second. This information is also critical for figuring out how well video streaming will work between computers. There are many different video formats, so I can’t list every single one here. However, I can list the peak bitrates for some popular video formats. These are typical maximum values. In certain situations – particularly with H.264 and VC-1 video files – you may find bit rates to be much lower. This is because there is a trade-off between quality and performance Digital Video Formats and Video Conversion Explained Digital Video Formats and Video Conversion Explained Read More . A file can be encoded into these formats at a lower bit rate to make it easier to stream, but the video quality will suffer. Despite the usefulness of LAN Speed Test, home networking speed can still remain an inexact science. 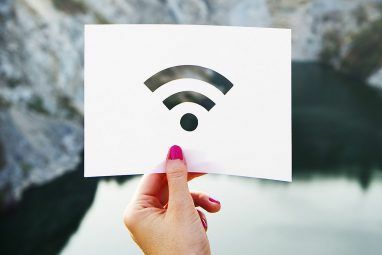 There is a great deal of flex in most file formats when it comes to the bit rate required to stream data, and the speed of wireless connections can also sometimes be degraded by interference from other signals or from obstacles. Wired connections do not have this problem, of course. Still, the information you receive from LAN Speed Test will put you in a much better position to gauge how well your home network can handle file transfers between computers on the network. Would you perform a network speed test? Wondering why your streaming video lags? Troubleshoot the connection with this app and let us know if it helped. This is a great 'real-world' test on how your network is performing. If your drive has write cache enabled (most do) then this form of testing (small files, many times) works very well. I just want to say that this is actually not a good way to determine actual network speed if you are running anything resembling a 100Mbps network or greater. This test fails simply because the bottleneck will be the hard drive as that tends to max out at about 10MBps (80Mbps) on writes for a normal non-SSD hard drive. The best option is to find a tool that runs only from memory and runs on two computers to determine the network speed between the two without introducing any unnecessary steps. I have heard good things about iperf but have not used it myself. Right, I was going to say the same, in fact windows 7's explorer already gives these statistics if you simply copy from or to the share. What I am interested is in the "raw" network throughput that I am able to get, to troubleshoot if my gigabit network is really working as it should. I found the tool very useful. I use a gigabit switch,power line networking and wireless networking (802.11n). My Mbps were what I expected for my gigabit switch transfer at 700, but it looks like my 200 Mbps power line networking is only delivering around 25. That would explain my DVD streaming troubles to my roku box. Freeware v1.1.1 available at bottom of that page. Thanks for finding that. I didn't think they had one.